Which Book Memories Do You Treasure? For readers of this post who have children and are looking for something to read with them, here are some of my favorite books from my childhood. It has been decades since I’ve read them, but they will stay in my heart forever. I wonder, what makes some books leave such deep impressions on us, while others don’t? I’m sure the illustrations have something to do with it, but there’s more, too. I can’t put a finger on it, though. 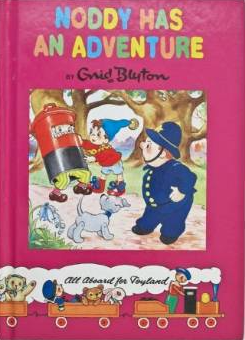 The copy I had as a child has a certain, unmistakable smell, which takes me back as soon as I open the book. The adorable, quirky story is about Emily (a pig) and Eugene (a turtle) as they try to figure out why their friend Carruthers (a bear) is so very grumpy. Even their tuba and tambourine serenade doesn’t do the trick! At the end they find out why. 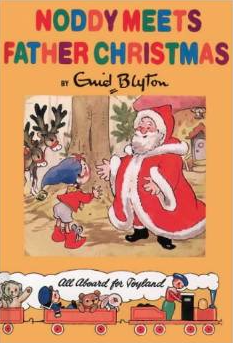 Eva, at The Sycamore Street Press, did a post about this book, and includes pictures of some of the pages. Please check it out! 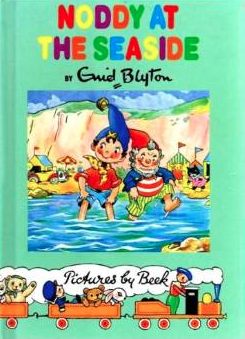 My father started reading Noddy books to me when I was about 5, and I still have the collection. These books have adorable illustrations and stories that show positive problem-solving and conflict resolution. And so I ask you, dear readers, are there some books from your childhood that will always be in your heart? And, are you familiar with any of the books in this post?